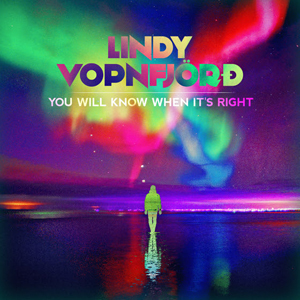 New York, NY (February 4, 2019) – Icelandic-Canadian songwriter Lindy Vopnfjörd has announced his seventh full-length album, You Will Know When It’s Right, for a March 29 release, led by the single “Love Me Like That”, which dropped this past Friday – listen + share. You Will Know When It’s Right came into fruition after an invitation from legendary Icelandic songwriter Daníel Ágúst Haraldsson, leader of acclaimed electronic band Gus Gus, to team up and collaborate with Iceland’s most beloved band, Nydonsk. The album was recorded at the famed Hljodriti Studio, and includes a live performance with Nydonsk at their concert at Eldborg Harpa in Reykjavik. Vopnfjörd is a proficient storyteller who distills human experience into the vital emotions that define a moment so crisply, and memorably. From his West Coast, Victoria-based band Northern Junk to Toronto’s explosive indie rock group, Major Maker, that boasted a fervor comparable to The Killers or Hard-Fi, Lindy’s talents have spanned many musical outfits. 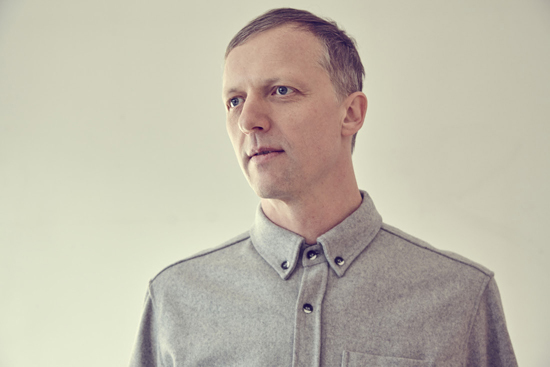 From his earliest albums, The Humourous Years and Suspension of Disbelief which he toured extensively through the UK, to his 2013 record Young Waverer, Lindy has consistently delivered a caliber of songwriting and musical arrangement, that has garnered heaps of critical accolades. Born into the Icelandic community in Manitoba, Canada, Vopnfjörd started his music career early, singing traditional Icelandic songs with his family, helping shape this intuitive artist. By age four, Lindy was already pronouncing his “stand and care for the world” bent as an Icelandic-Canadian folk artist by singing cautionary songs against nuclear war. Traveling around by bus with his mom and dad and extended family, he developed an appreciation for performing as a form of sharing. Touring comes naturally to Lindy, and to see him live is to witness years of experience in honest delivery and authentic exchange with a dedication as real to a room of three, as when he’s performing to a stadium-full. Over the course of now seven albums, Lindy have mesmerized, delighted and moved audiences at house parties and bars to embassies, theatre halls, touring with Whitehorse, and playing large festivals, such as Osheaga, the Reykjavik Folk Festival, and Hillside Festival. Residing now in Toronto’s Parkdale neighbourhood, Vopnfjörd and his ongoing artistry are supported by an artistic family and solid fan base, and reflects the musical pedigree of the artistic community in which he is immersed.